'12 in 12'.....it's been a long time since I've typed that. For those who have followed this blog for a number of years know that I got back into reading and I set a goal of reading (and reviewing) one book each month. I was pretty proud of completing that goal back in 2013. It has been a number of seasons since I posted anything book-related here, but that doesn't mean I've stopped reading. In fact, over the past couple of years I can safely say that I've finished more titles than ever before. Last year I completed 18 books and this year I'm setting an even loftier goal of 25. This morning, I finished book number two of 2019. As a heavy-duty player collector now for a good two decades, a blogger for over 10 years and a person who just tremendously enjoys this hobby for a number of reasons, I've known the name Tanner Jones for a while. 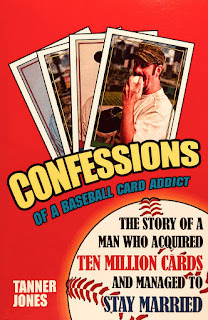 From his "top of the mountain" Canseco collection to his unparalleled custom card creations to his fantastically well-written blog posts that litter his website, Tanner has a passion, enthusiasm and genuine love for card collecting - and the hobby - that I find energizing. 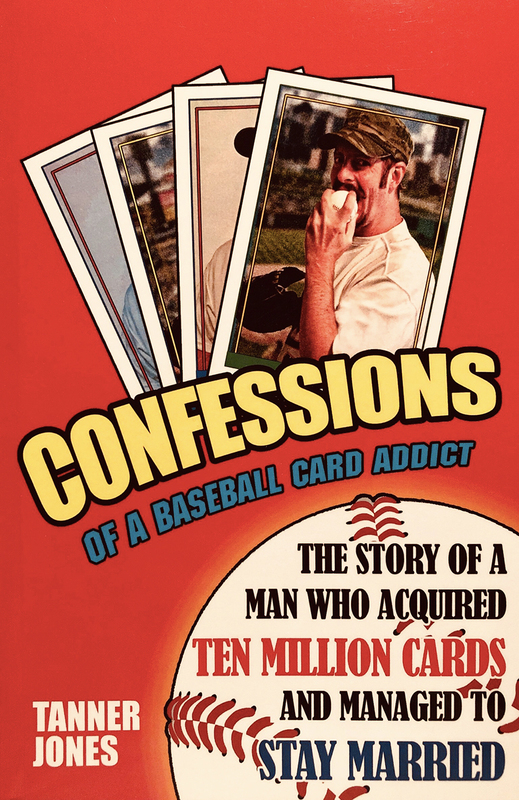 And after the most recent "chapters" in his card collecting world, he has decided to share his story in book form. I'm not shocked......but I was really excited to see this new title pop up on Amazon. It was an insta-purchase. Tanner's book reads quite easily. He writes with a conversational tone that paints a picture of each episode he's sharing. From his first foray into cards, to his early buying and selling, all the way up to discovering his passion as a Supercollector - and beyond, it's quite the ride he takes us on. 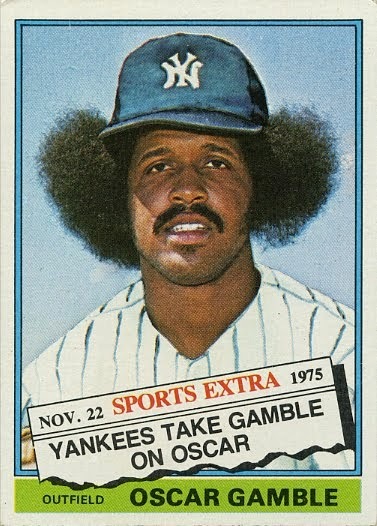 But while baseball cards and Jose Canseco are the tangible focus of the book, this is more than just a sportscard read. It's about finding something you enjoy, pursuing a passion and ultimately - knowing your limits and what are the real important things in one's life. He could've been collecting comics or stamps, dolls or dishes and it wouldn't have mattered. The stories would've still resonated. I also really liked the feeling of "beginning, middle, end". Tanner chose the perfect spot - the perfect instance to find the finish line in his read. He even mentions this in one of the chapters. There are many times where I've read a book only to feel that it was put out too early - or too late. Tanner's book comes at just the right time, and it's a wonderful standalone read. The great thing is....his story is still going on. Even as I type this, I'm noticing a bonus chapter on his website (be sure to check it out). This isn't a stale, decades old recollection.....it's stuff that's happened - recently. I think that's pretty cool. There were a number of lines in the book that really struck me - as if he was writing them just for me. For example, "An argument can be made that perhaps the act of collecting can be more enjoyable than having a collection." How about "Scrolling through eBay, it just seems like a lot of white noise now, which is a stark difference from what my mindset was not too long ago." Or my favourite... "Collecting is also about the thrill of the hunt, the camaraderie between collectors and the stories behind the cards." Ain't that the truth! Lastly, this book really hits me because for a number of years I've felt that I've got "a book inside me". I don't know what it is or when it will come out, but I know one thing.....I enjoy writing on this blog (even if my grammar, punctuation and stream of consciousness seem a little all over the place) and I think I would enjoy the process of building something as impressive as a book. For those looking for a fun, hobby-related read - how have you not yet bought this book??!!! For those that enjoy the card collecting world from afar, give this one a shot. And keep this mind, Tanner wrote and published this book independently. That's an impressive task. It's earned my money to buy a copy and I recommend highly that you give it a shot. I've heard a few people talk about this book. I always enjoyed watching his videos and seeing his customs. I'll probably pick up a copy eventually.